Have your international and out-of-state clients ever asked you why your business is located in Utah? You could answer that question with the standard well-educated workforce, low cost of living, best state to do business in for 2016, blah blah boring answers. 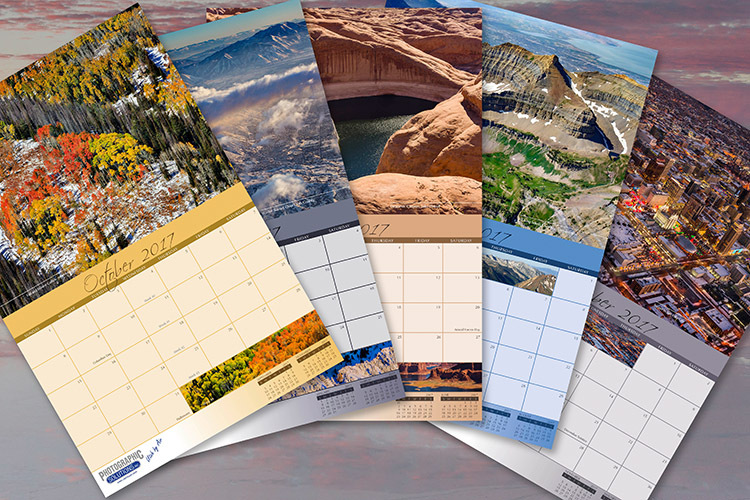 Or this year you could answer that question by sending each of your clients a beautiful, full color calendar featuring our aerial photographs of the amazing landscapes Utah has to offer! 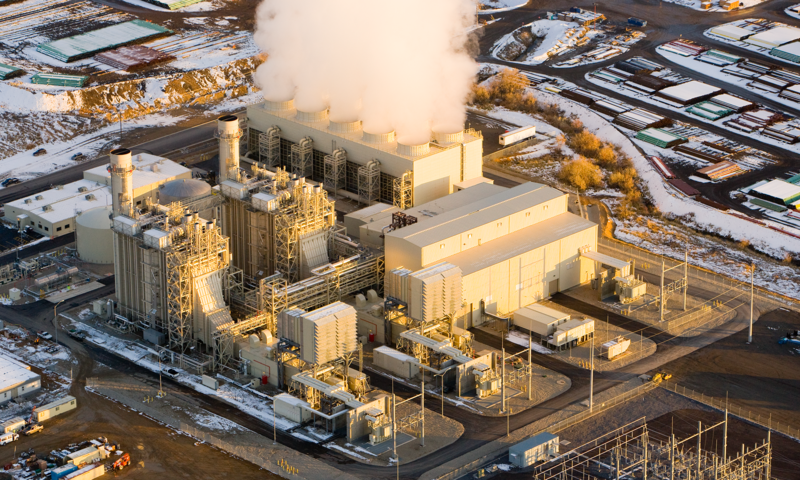 Every year we produce our Utah by Air! 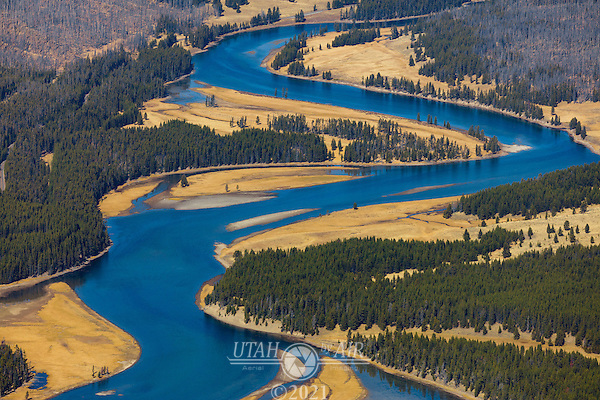 calendar filled with stunning aerial views from across the state. 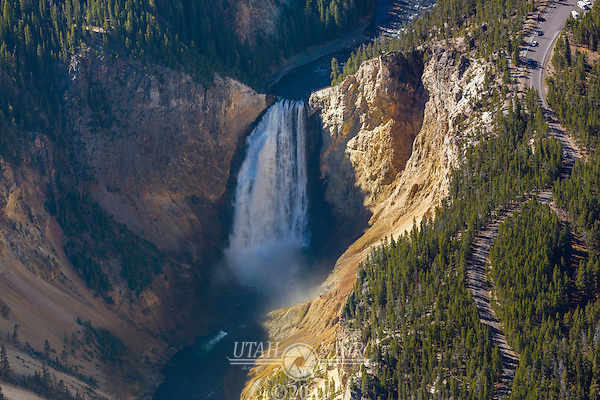 Utah has five well known National Parks, National Recreation areas like Glen Canyon (Lake Powell) and Flaming Gorge, the salt flats, the Great Salt Lake, and seven different National Forests. There are endless vistas to see, and our aerial photography captures Utah in all its glory with a different perspective, from above! 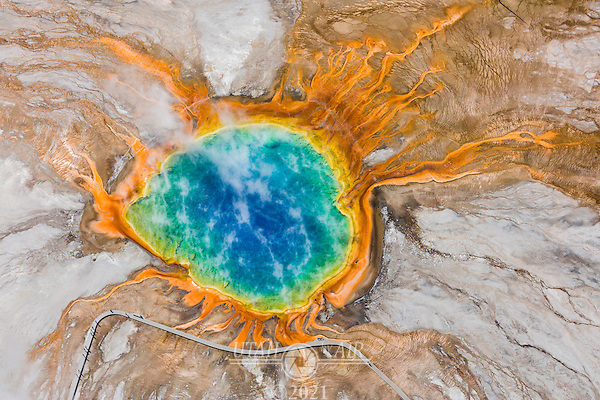 We comb through our vast library of stock aerial photography and choose twelve different images for the calendar every year, plus and additional image for the cover. 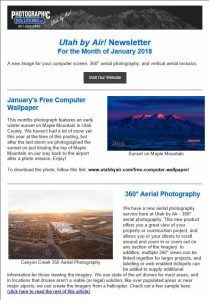 The featured photograph every month is matched to the season, and complimented with additional images that fill the empty date squares on the calendar grid. We even match the coloring of the design to fit the time of year – cooler colors in the winter and warm colors in the summer. The inside cover has descriptions of each photograph detailing the location and history of the area. Each calendar is then privately labeled with your company logo and information on every page and can also include dates important to your business or any other information you need on the calendar pages. The cost is more affordable than you think, and we offer printing runs anywhere from 150 to over 10,000. Now is the time to start thinking about calendars, so give us a call and find out more about these beautiful and unique client gifts today. p.s. If you just want a few of our calendars for yourself, follow this link or give us a call. 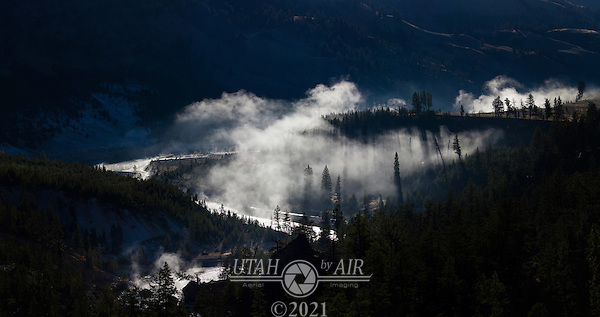 For Photographic Solutions and Utah by Air, 2016 went out in style. 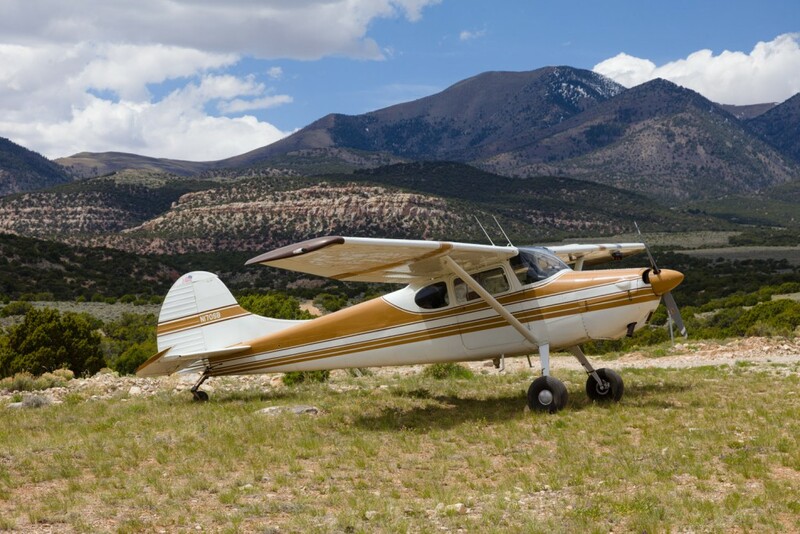 Our last flight of the year took us over some of the amazing scenery that south central Utah has to offer. The San Rafael Swell and the canyons of the Dirty Devil river are amazing, and when the sun is low in the sky and light changes color, the scenery is spectacular! 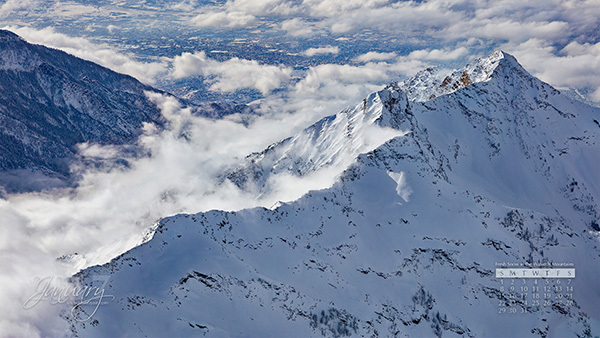 This flight reminded us once again of why we love flying above and photographing the diverse environments of Utah. In June we’re planning an epic three week trip to Alaska! We’ll be flying our plane along with several friends in their planes in a loose caravan to the wild parts of Alaska, and documenting the whole trip from the air. Don’t forget to download our monthly computer wallpaper either! We hope you have a great 2017! 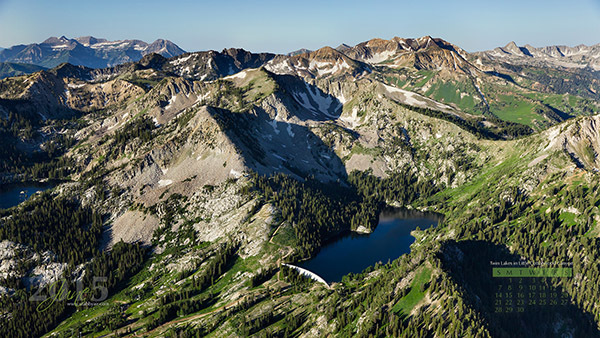 Utah has one of the most diverse landscapes in the world. From beautiful mountain forests and lakes to white, sparkling salt flats to incredible red-rock formations and everything in-between. Some of the most unique landscape formations are found in the orange-red sandstone “hoodoos” of Goblin Valley. 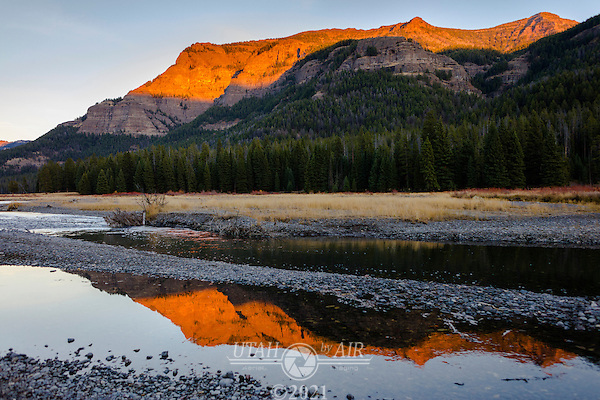 From inside the park, the goblins are impressive to look at and offer endless opportunities for hiking and photography. However, the only way to see their true expanse and variety is from the air. A few weeks ago we flew a photo mission to Goblin Valley, which lies on the southern edge of the San Rafael Swell, and photographed this unique and impressive area. 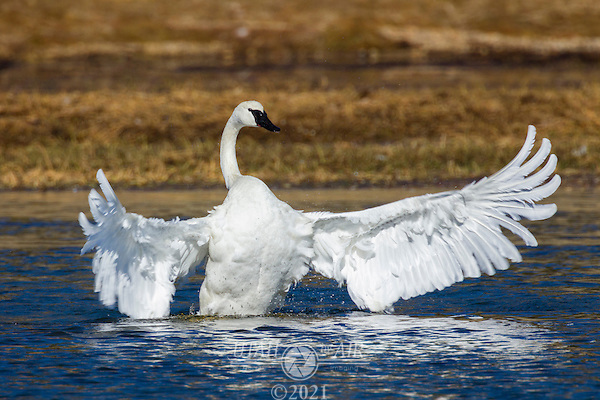 For a few years, a good friend of mine, nature photographer Bernd Kupka (www.outdooradventurepics.com), has been trying to get me to go with him to Yellowstone and photograph wildlife. I’ve planned on going several times, but it never worked out. A few weeks ago the stars finally aligned and I was able to take the time for a trip. Since I don’t drive anywhere if I don’t have to, I flew up there met Bernd, his girlfriend Daneka and their dog at the West Yellowstone Airport. But first I circled the park and photographed some of the amazing features from a whole new perspective for me. 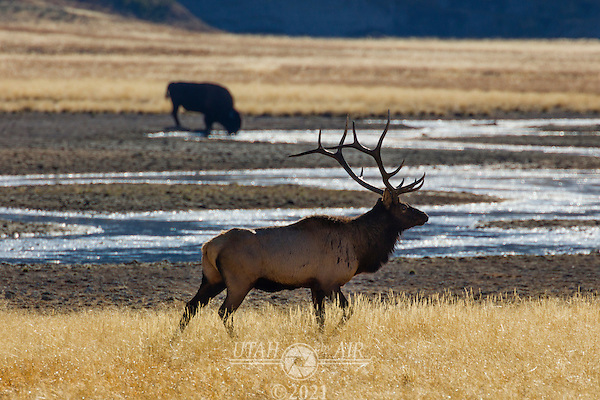 We spent the next few days driving around the park photographing wildlife. 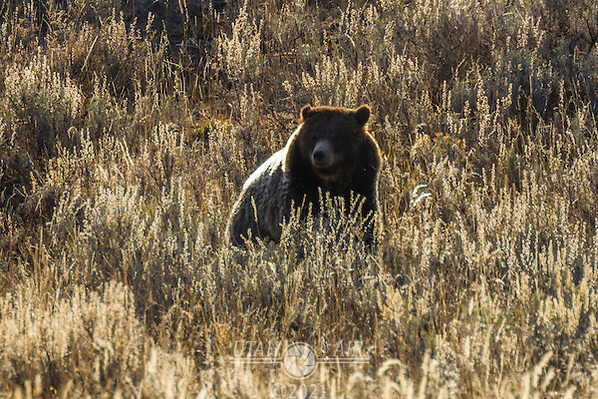 We saw five grizzly bears, but only one that was close enough to photograph. We also saw a pack of 10 wolves, but they too were a bit to far off to work with. But the other animals and the sunsets more than made up for it. Most of our clients know that earlier this year Allen lost his beautiful wife Noreen Carey Macbean in a tragic cycling accident. She was an amazing woman who loved life and lived it to the fullest. Noreen loved children although she was unable to have any of her own. To honor her memory, we are working with Hope For Honduran Children to create the Noreen Macbean Childrens Center in Santa Lucia, Honduras. The Center will provide much needed space and equipment for training in micro-enterprises such as pottery, weaving, and woodworking. 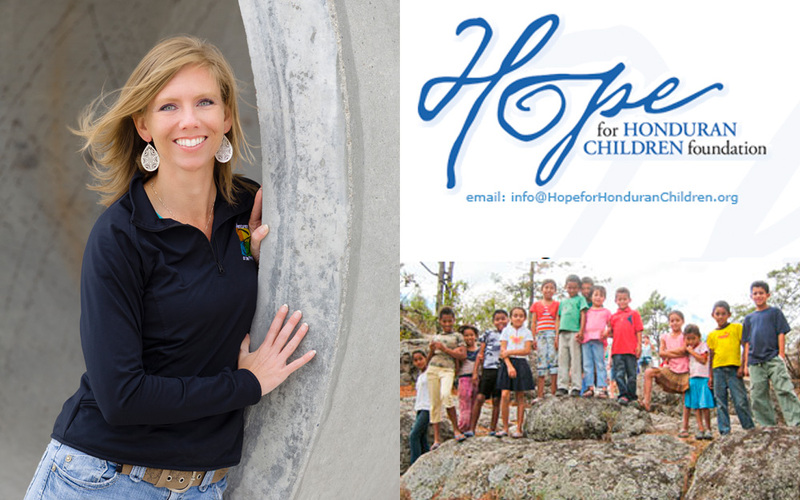 The Hope for Honduran Children’s Foundation is a 501(c)(3) organization dedicated to providing education and housing to orphaned and abandoned boys in one of the most disadvantaged countries in the world. The Foundation works to protect, serve, educate and mentor neglected youth, providing them the knowledge and skills that will enable them to support themselves and improve their villages. Many of you have asked what you can do to help Allen, and his request is to please consider making a tax deductible contribution to the Noreen Macbean Children’s Center – extending the opportunity of fulfillment through personal responsibility and self-sufficiency to struggling, impoverished youth – the future and hope of Honduras. 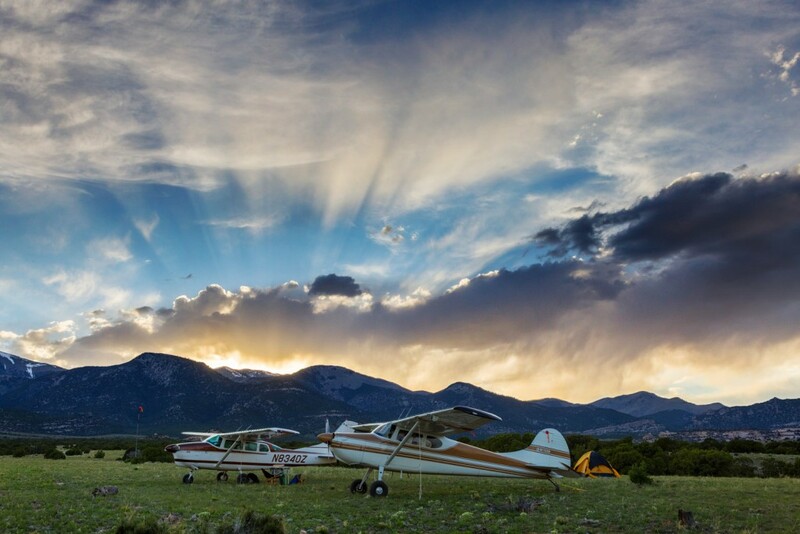 This past weekend we took a stock photography flight to the airstrip at Eagle City, Utah. A good friend, Cory, and his son Adam came with us in their Cessna 205. 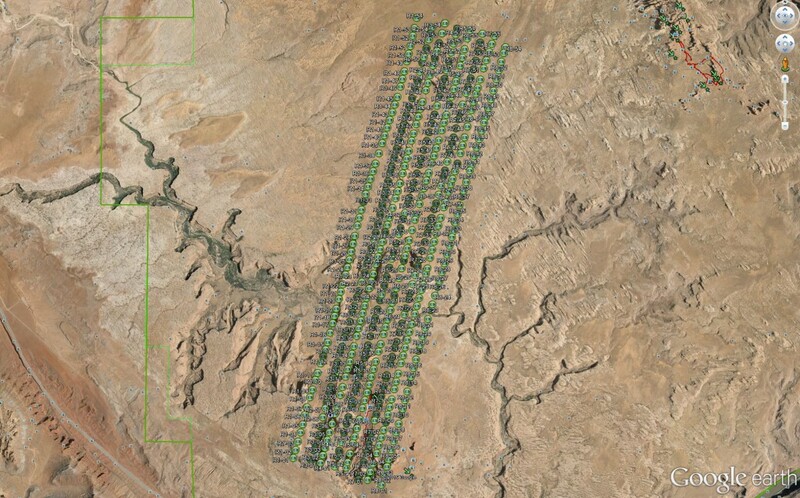 The strip is located in the foothills of the Henry Mountains South of Hanksville. When standing on the strip, looking to the West gives you incredible views of the snow-capped Henry Mountains, and looking East fixes your gaze at the red rock mesas and canyons not too far away. Eagle City was a booming gold mining town back in the 1800’s, with some estimates putting the population as high as 200 people. Unfortunately, the mine kept flooding and the money dried up before they could get the drain holes engineered and built. The town disappeared quickly after that. 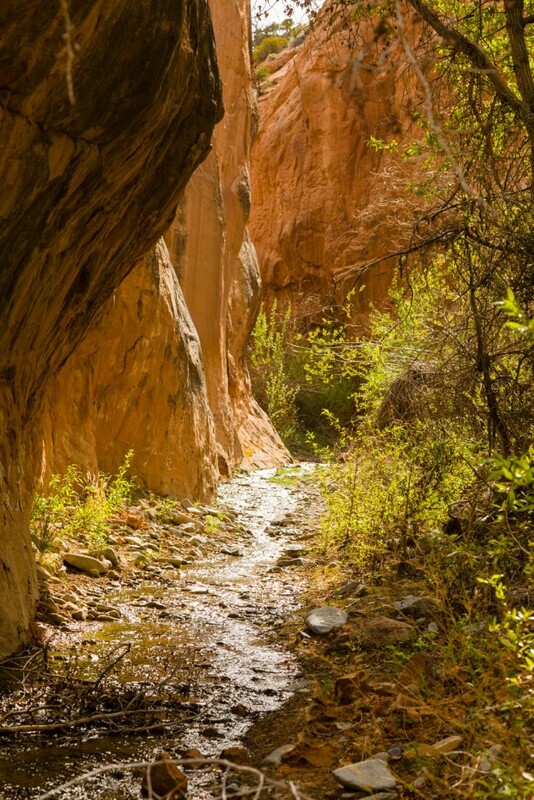 We spent most of the day exploring and photographing the Crescent Creek slot canyon just South of the strip. About halfway down the canyon there is a 60 foot drop off where miners had created a dam a long time ago. We were without climbing gear, so we hiked back up the canyon and skirted around the outside to the East were we hiked upstream until the light started fade. All in all, it was a great trip and we look forward to going back with climbing ropes and harnesses and do the slot canyon right. Utah by Air! is a division of Photographic Solutions, Inc..